Now, if I was to be honest, (which I am), I’m pretty sure that I’m not the first person to ever invent Ravioli Soup. But one thing I CAN tell you is that it should be the most popular Italian type dishes out there because…… . IT’S. JUST. THAT. GOOD. So, there you have it. 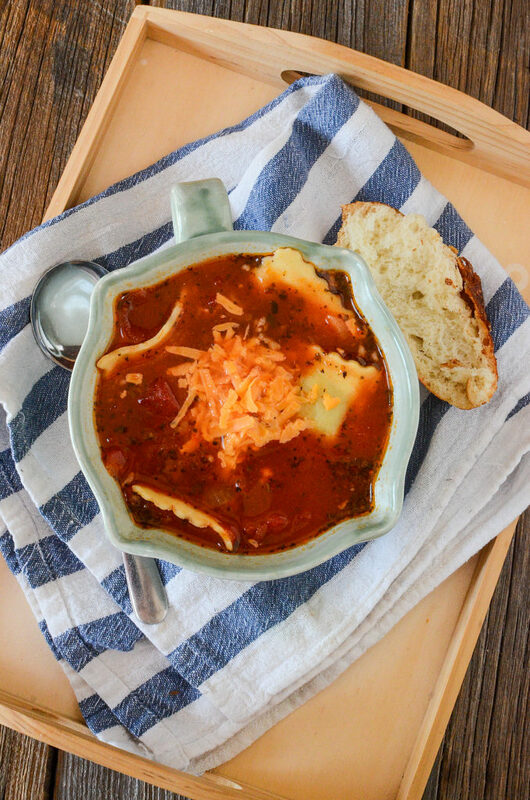 My honesty compels me to admit that out of sheer laziness, hunger and strong cravings, this tasty amazingness called The Ravioli Soup was born. And I feel no shame to say that it’s utterly BRILLIANT! It’s really easy to put together, to boot. LET’S ME SHOW YOU! 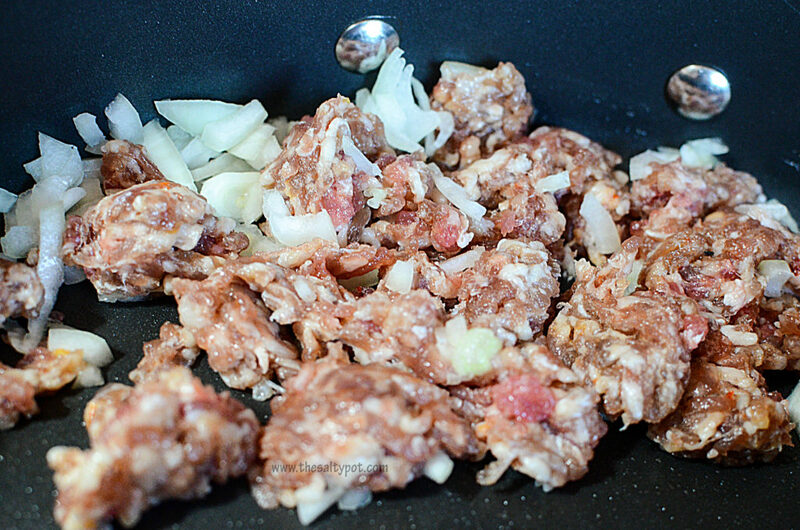 Fry up the sausage, onions and garlic. Throw it in the cooker along with a can of italian seasoned stewed tomatoes and some tomato sauce. Add the seasonings, and cook on high for 2 hours. Add the package of ravioli and continue to cook for another 30 – 45 minutes or so. Dish it up and sprinkle with grated cheddar or mozzarella. I used ricotta and spinach ravioli with this recipe, but you could of course use any of your favorite ravioli flavors. Note: If the ravioli is frozen when you add it to the soup, allow for a little more cooking time. However, if it’s fresh, don’t cook it much past the 30 – 45 minute range or .. well.. mushy pasta is just a gummy gross no go. 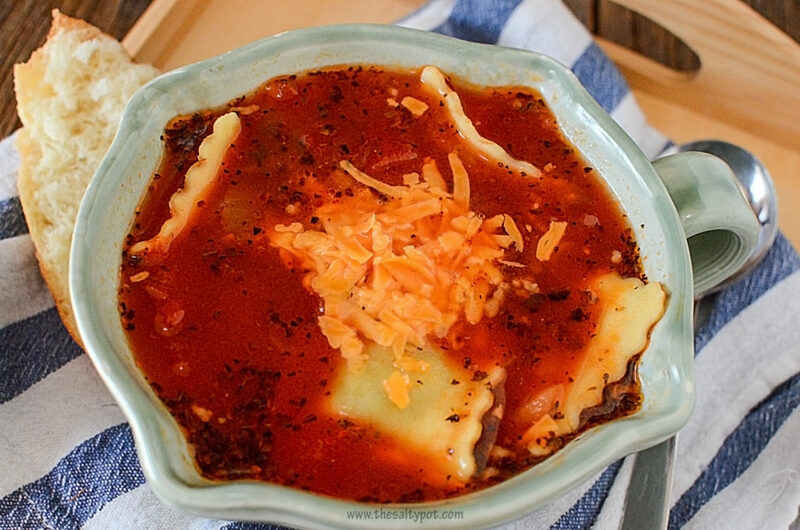 This creation is what would happen if a comforting soothing soup and a rich, tomato-ey, cheesey ravioli dish had a baby. 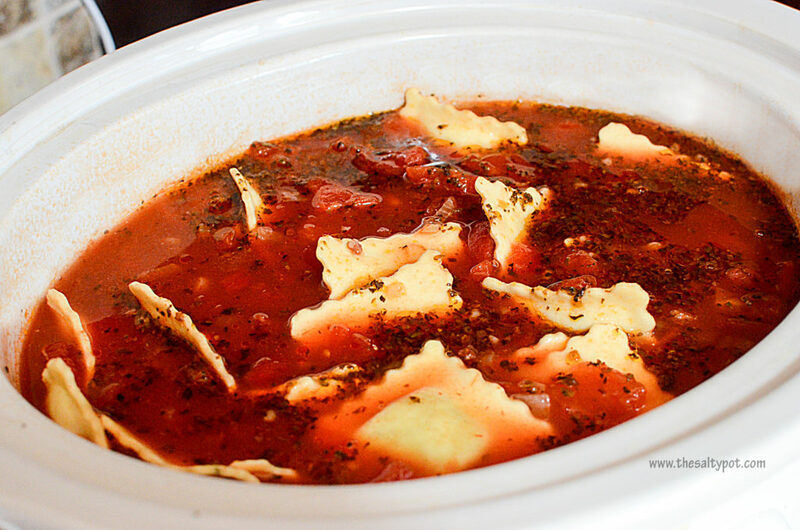 I even gave my hard to please mom some of this ravioli soup amazingness to take home. She called me the next day to tell me it was excellent. And trust me, if SHE thinks it’s excellent, then it pretty much is. (She’s been known to do “jazz hands” in a restaurant when something is EXCEPTIONAL ). Honestly….. Try it….. You’ll see. I’ll just say “You’re Welcome” now. 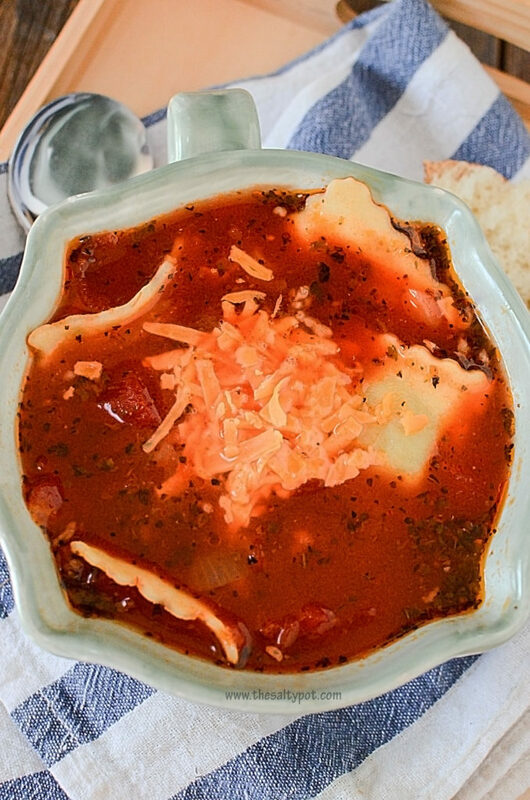 This ravioli soup is a snap to make and has all the yummy flavors of a ravioli pasta dish (yummy ravioli, beautiful tomato flavors, and of course cheesy cheese! ), but in soup form! 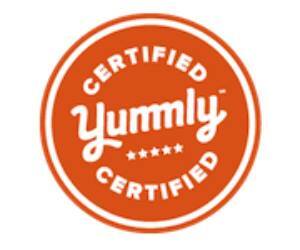 Plus, the fact that it's made in a slow cooker makes this recipe a winner! Add the sausage to the slow cooker along with the tomato sauce, tomatoes, chicken broth, and spices. Add the package of ravioli and cook for another 30 - 40 minutes. When serving, plate into bowls and sprinkle with shredded cheese. How do you prepare your ravioli ? I’d love to hear what you’ve done, let me know below!